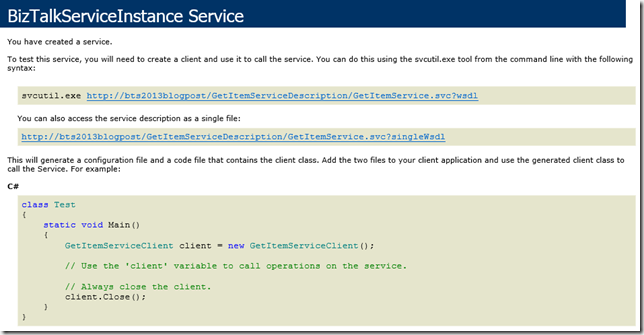 This post is the seventh in a weekly series intended to briefly spotlight those things that you need to know about new features in BizTalk Server 2013. This post will focus on a feature that is technically present in BizTalk Server 2010, but was not installed by default. 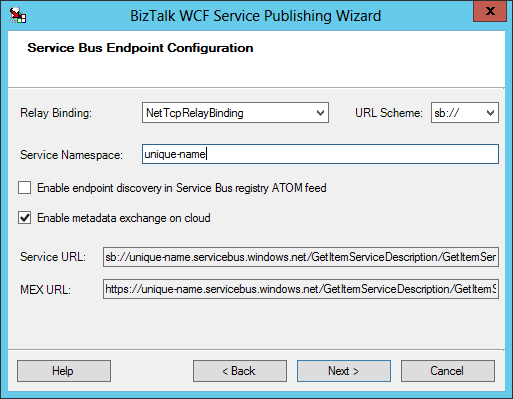 This feature was a subtle enhancement to the BizTalk WCF Service Publishing Wizard – namely the ability to publish a Windows Azure Service Bus Relay Endpoint without leaving the wizard (and also without using one of the new adapters that has Relay in its title). Once you’re up to this point, you can sprint to the finish by clicking Next, Create (after reviewing the wonderful WSDL and making sure it’s something that you can be proud of), and then finally Finish. 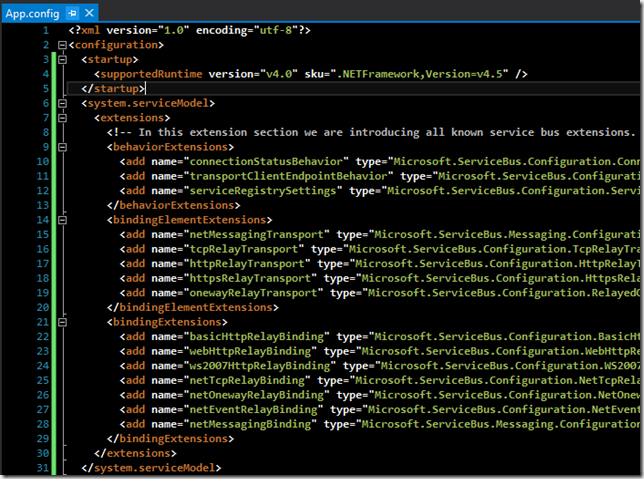 And it’s highlighting the portion of the configuration file that includes the key for Service Bus authentication. 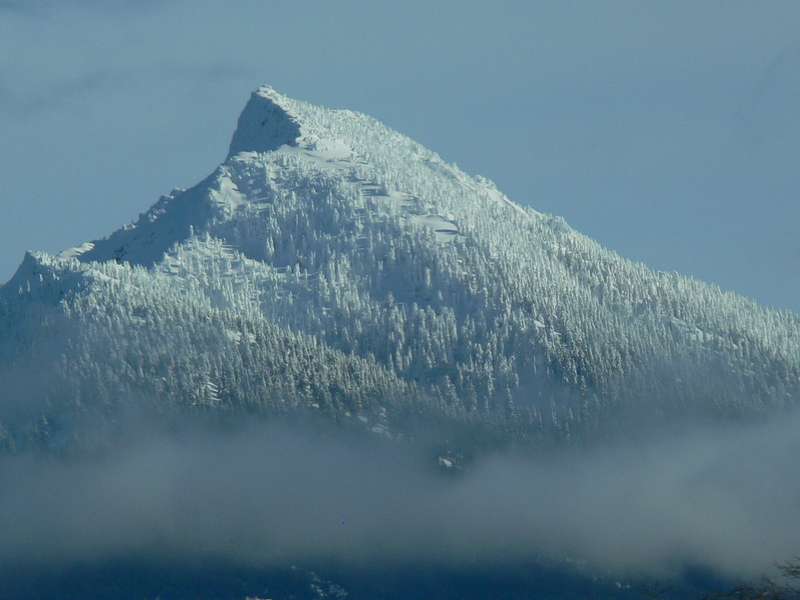 Before getting right to the resolution, let’s recap what we’re looking at. 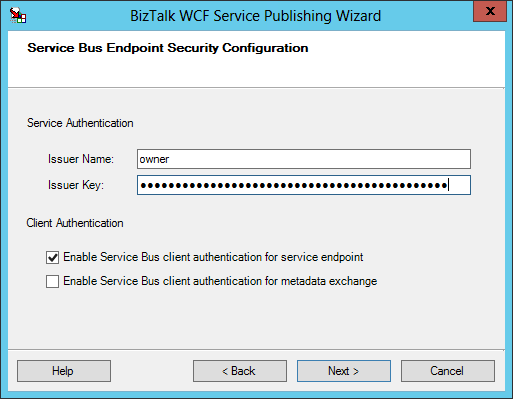 Going through the wizard, I had selected to host a WCF-WSHttp endpoint internally in a BizTalk Isolated Host (i.e., running in an IIS App Pool rather than a BizTalk Host Instance process). 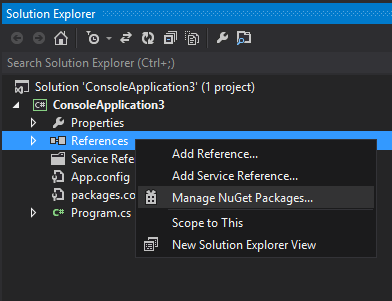 I then indicated that I wanted to also expose the service through a NetTcp relay endpoint hosted externally (on Windows Azure). 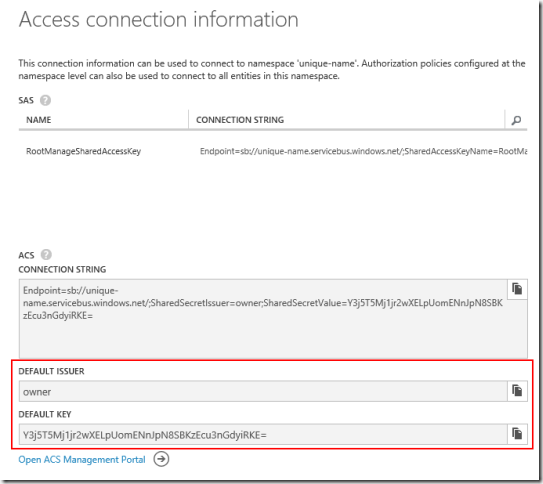 My local IIS instance has been provided all the configuration information that it needs to coordinate with Windows Azure and make the relay live, but it currently doesn’t know what to do with it – which is why I have the error, and why my relay won’t be alive yet. In reality, this all could have been avoided by reading. 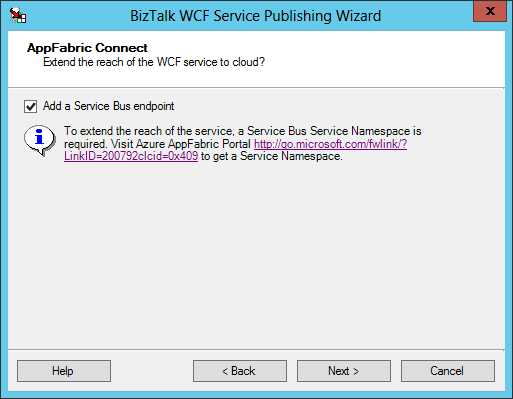 Specifically reading the last page of the BizTalk WCF Service Publishing Wizard, which should tell you that you need to install the AppFabric 1.0 SDK before any of the relays will work. Again, this is functionality that was technically available in the previous generation, hence the older SDK version number. 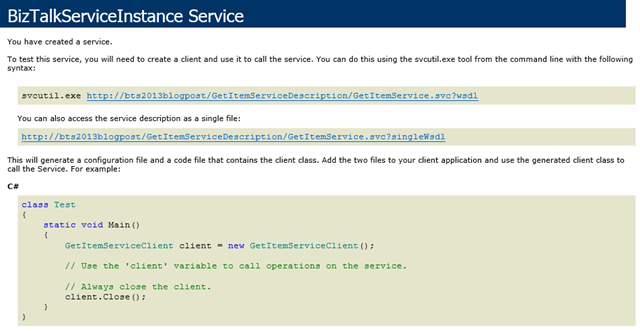 If you’re anything like me, this is an unsatisfactory ending point – the service doesn’t really exist until I can consume it from some client. 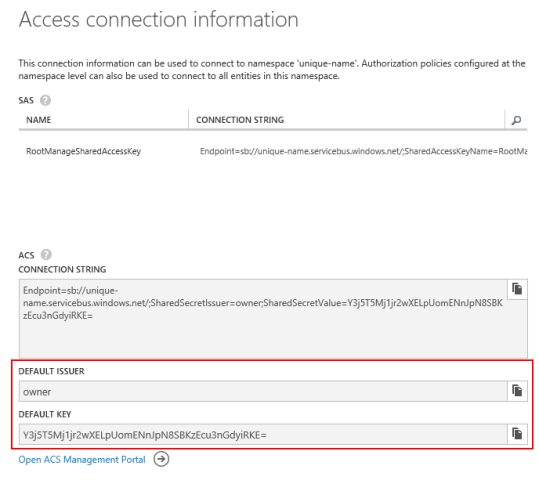 To make it as fair as possible, I am hosting the service inside a fairly locked down Windows Azure Virtual Machine, and I will be consuming it from my laptop connected ultimately via a microwave connection somewhere in the shadow of Mt. Pilchuk. This is something that has changed more recently. In fact, I couldn’t find a single place documenting what this behavior should actually look like right now. Hopefully that will change. I hope you found some of this helpful. 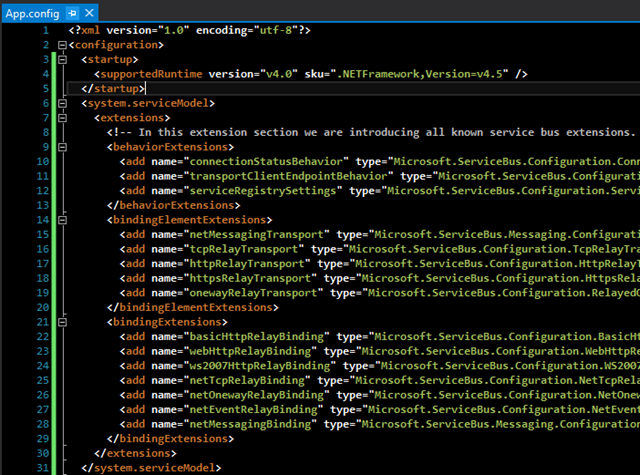 Like I said, this is all technically possible in BizTalk Server 2010, but required additional installation. 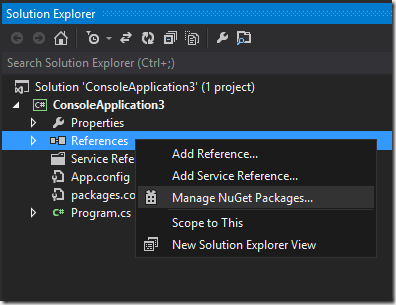 In BizTalk Server 2013, it is there by default and ready to go (with one tiny SDK install) out of the box. If you enjoyed this week’s post, then stay tuned. 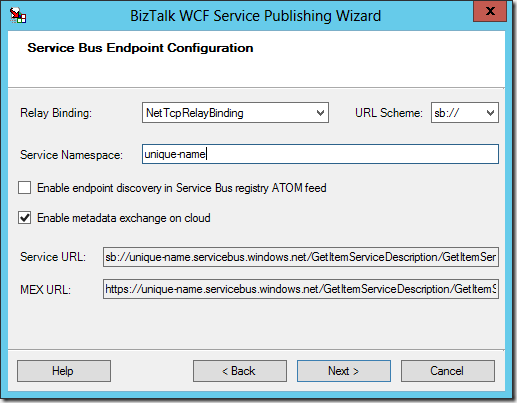 Next week, we will be accomplishing the same tasks with a service hosted in-process in BizTalk Server 2013 using one of the new WCF Relay adapters. 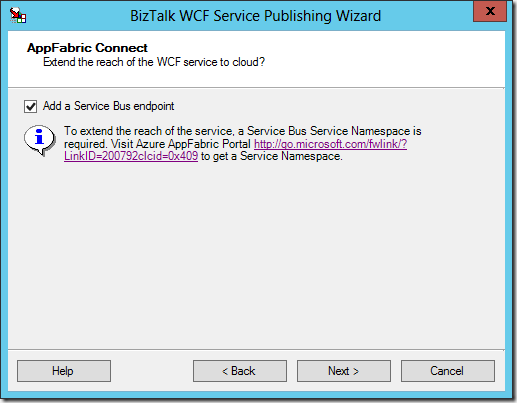 Was trying to expose an orchestration as WCF service using the wizard and the steps that you have mentioned in the above post.the wizard got completed but the services are not getting listed out under the service bus.What could be the reason for the same. The service needs to be activated once before the binding attempts to register itself with the relay.